2015 IUS mobile APP is available (instructions). Warning for participants: Some of the participants have been contacted by â€œExhibitors Housing Servicesâ€� for hotel reservations (or similar names with similar requests). Please note that Exhibitors Housing Services do not represent the 2015 IUS organizing committee. Please ignore such requests and be very cautious when dealing with such calls/emails. 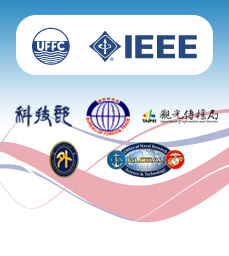 If any doubt, please contact the organizing committee at ius2015@elitepco.com.tw directly. Thanks. 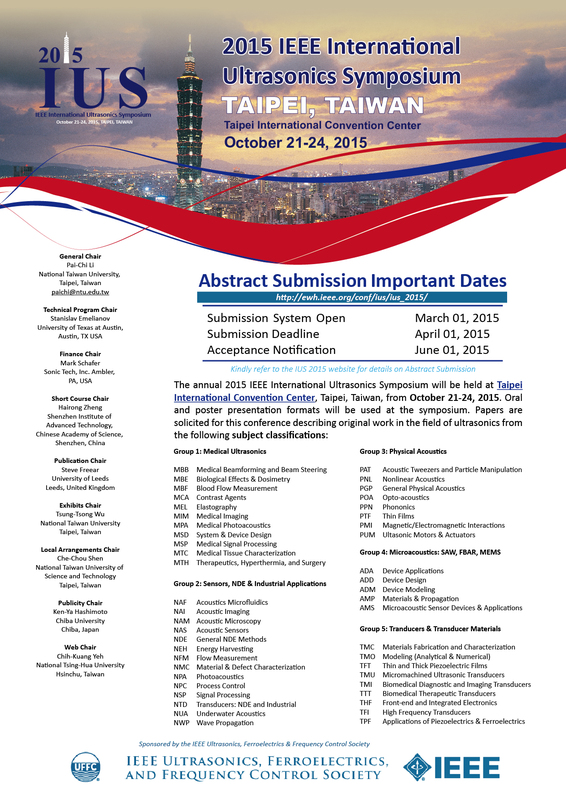 It is a great pleasure to welcome all of you to join us at the annual 2015 IEEE International Ultrasonics Symposium, which will be held in Taipei, Taiwan, 2015. We are mostly delighted to announce that the online registration system is now opened! 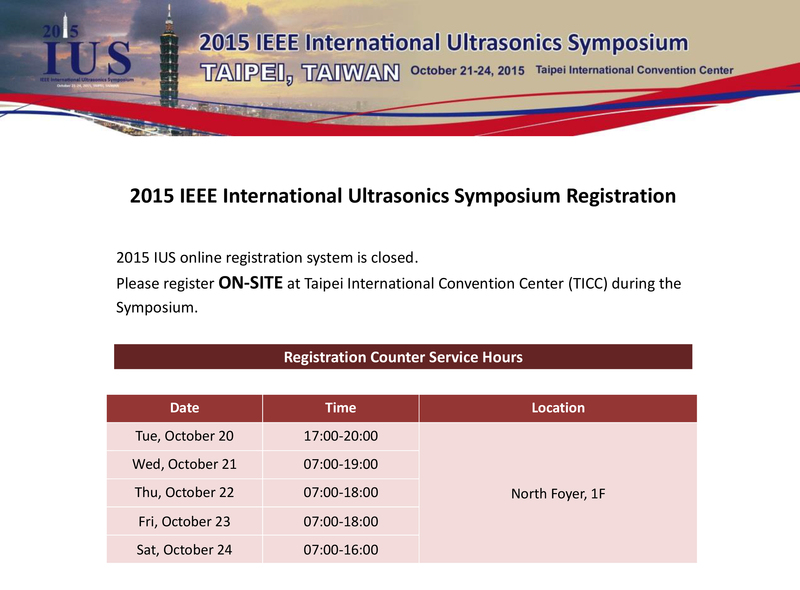 Please book your calendar and we look forward to welcoming you in Taipei!